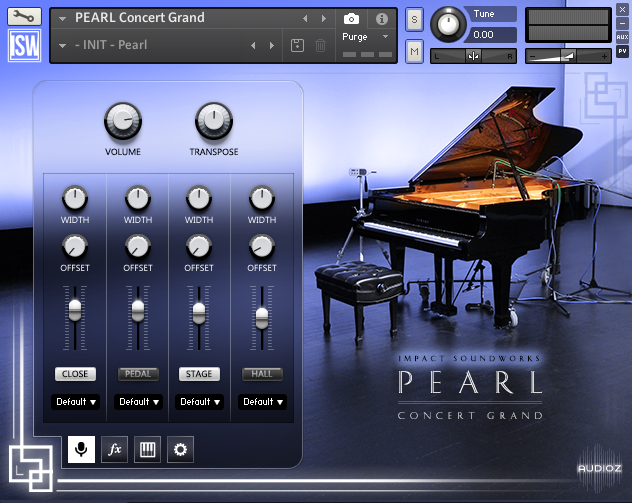 Impact Soundworks has released version 2.0 of Pearl Concert Grand, a virtual piano instrument library for Native Instruments Kontakt and the free Kontakt Player. This version features a total rewrite of the playback and performance engine along with new NKS support. There are now more options than ever for realistic pedaling and per-note tweaks. Our flagship grand piano instrument features a beautifully-recorded Yamaha C7 with four microphone perspectives, each offering a unique and lush sound. Pearl is a true joy to play, edited and mixed to perfection and suitable for most any style of composition – classical pieces, cinematic works, pop, jazz, blues, and more. Pearl makes an excellent addition to any sample collection. If you’re like us, you’ll find yourself reaching for it every time. Yamaha C7 recorded in a concert hall. 14,000+ samples provided as 16 and 24-bit. Four mic positions: close, pedal, stage, hall. 8 dynamic (velocity) layers per note. 2 round robin variations per note. All samples recorded pedal-on and off. Chromatic key release and pedal noises. Elegant and powerful script interface. Per-mic FX, offset, and width tweaks. Make your own velocity, brightness, volume curves. Edit special tweaks for individual notes. Microtuning (with alternate classical tunings presets included). Optional “Light” patches saving up to 85% RAM. 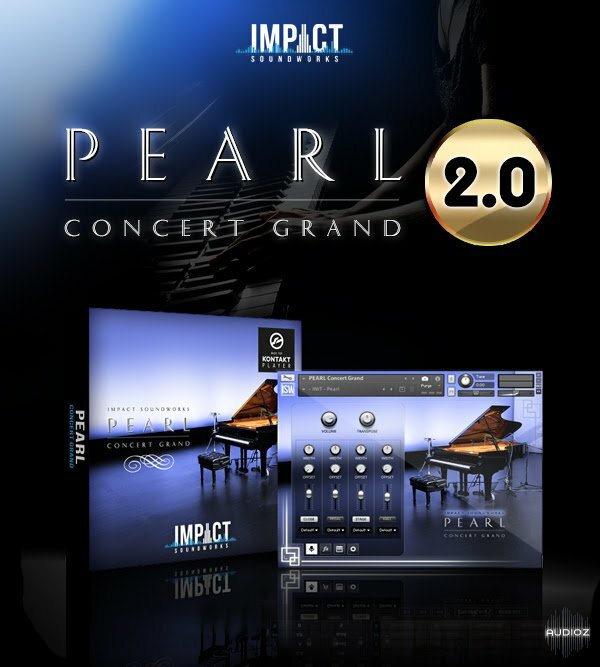 Impact Soundworks PEARL Concert Grand v2.0 KONTAKT UPDATE-SYNTHiC4TE has been exclusively released on AudioZ by Horsemen who chose to ask not to post mirrors. Thank you SYNTHiC4TE and Horsemen. Greetz..ASSiGN, AudioP2P, ST3REO, 0TH3Rside, CHAOS, R2R. Thanks Horsemen, but several pieces are missing.. Part 31 ,Part 33 and 45 up to 49. I suppose it should be 49 ? I"m talking about the first link without password that goes to Rapidgator sheet. Can you take a look at it please ? Do not go where the path may lead, go instead where there is no path and leave a trail.. Compatible with Kontakt 5.5.0 R2R. v2 is certainly better than v1, especially they removed the excess buildup when playing lots of high notes. Thanks for posting!